1st leg of our Aug 2006 trip. 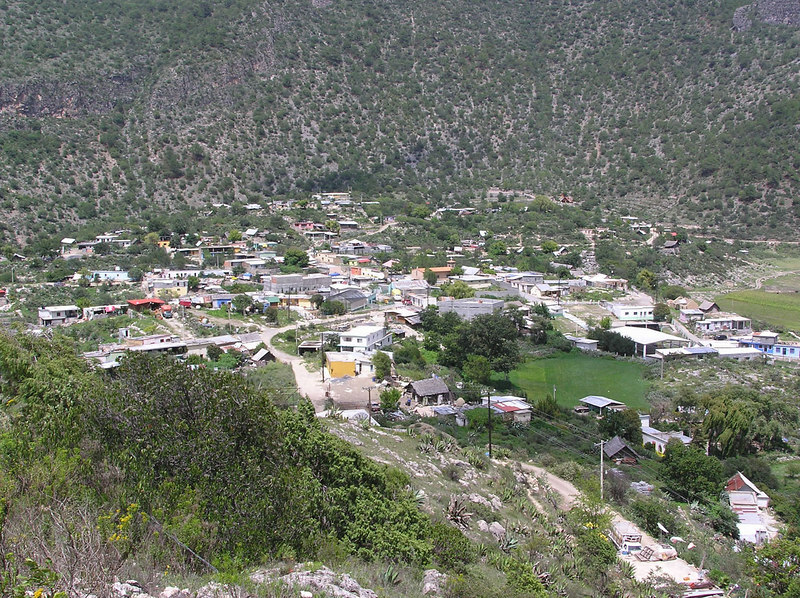 Los Lirios to Rayones via Laguna de Sanchez and La Cebolla. Spent 1st night in Nuevo Laredo. Entered Cumbres de Monterrey park (is there really such a thing?) from Los Lirios in the west. 2 nights in Laguna de Sanchez. Next night in Mesa del Oso, after heavy rain. Up to La Cebolla as far as we dared, to check passage to Portrero Redondo (there wasn't one) so then on to Rayones for the night, arriving in the dark amidst swirling clouds of talcom powder-like dust. Spent the next morning cleaning the Jeep. Laguna de Sanchez. "There's no reason to go there unless you know somebody," - internet quote.